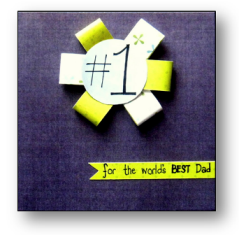 Want ideas for Fathers Day cards to make? You've come to the right place! 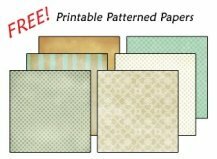 You'll find inspiration for Fathers Day greeting cards here, complete with the list of materials and a tutorial so easy to follow you can even do it with your eyes closed! Just kidding! Not the part about the tutorials being easy, though. 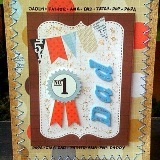 I'll also be adding some ideas for Fathers Day greetings that you can use for your cards. Fathers Day is a really special occasion for the men who have influenced our lives. And it's the perfect time to show how much we appreciate them. Just as we prepared special cards and gifts for our Moms on Mothers Day, let's also do something really special for our Dads. I mean, let's be honest here. More often than not our gifts for our Moms are way more prepared or though of. Moms get a lovely handmade card with a package of beauty treatments or some other special gift. Dads should get that too, right? Well, maybe not the beauty treatments but a handmade card would be really neat! Okay, I gotta tell ya, making cards for men especially Fathers Day cards has always been challenging for me. I'm more of the flowers and swirls type and, well, you just can't make masculine cards flowery or swirly. So, here's something I've learned. There are definitely no rules of course and I'm sure any lovingly handmade card would be appreciated. But for those who don't want a floral masculine card, just a simple tip to keep in mind. Simplicity is beauty. 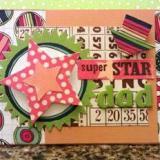 Keep the card clean and simple and without excessive embellishments. Skip the lace, too. *wink* But all throughout everything, remember to have fun. Your man will love whatever card you come up with especially if it comes with heart-warming Fathers Day greetings. Here are some ideas for Fathers Day cards to make. I hope you'll enjoy making them as much as I did. I will add more pictures and tutorials for Fathers Day cards soon so I hope you'll drop by often or subscribe to my free newsletter to be up to date. Here are some Fathers Day cards personally made by our awesome Design Team! 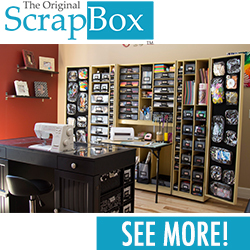 Hope these will inspire you to start crafting! Each one comes with a full tutorial when you click on the photos.